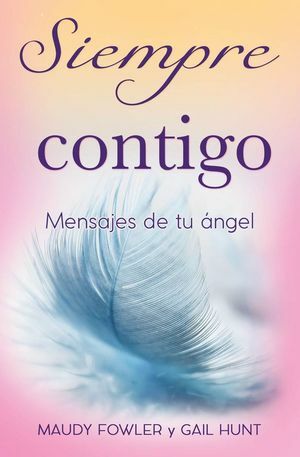 What a good news to hear that our book Angel Messages is now available in spanish! The spanish title is Siempre Contigo, Mensajes de tu ángel. We thank the Publishing company Grupo Editorial Tomo from Mexico City, Mexico for making this possible. You can purchase Siempre Contigo through Amazon. We are so happy that we can now reach many people in the spanish speaking countries and we welcome you all to Siempre Contigo! We hope that this book will help you make your life lighter. Muchas gracias for the wonderful emails we received who read the book and that you were able to move forward. Peace be with you, la paz sea con vosotros and may the angels be around you, ángeles a tu alrededor. 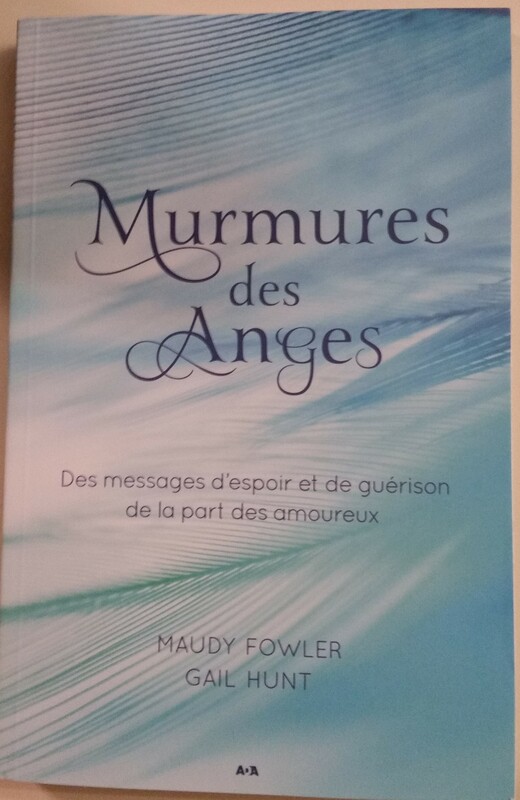 In February of 2017 we were so happy to hear that a publisher in Quebec, Canada was interested in our book Angel Whispers and translated this into the French title Murmures des Anges. We thank the French Quebec publishing company ADA, Inc., for their interest and welcome our Canadian readers. We hope that our book may give you Love, Peace and Comfort. Gail and I are so excited that our books Angel Messages and Angel Whispers is translated and published in Poland! We thank the Polish Publishing company ILLUMINATIO and our Publishing company Llewellyn. Welcome to our Polish readers and we hope that our book will let you feel the love as the arms of the angels embrace you to give you comfort and peace. We are also happy to announce that our book Angel Whispers is translated and published in Turkey! Our thanks to the Turkish Publishing company of Alfa Basim Yayim Dagitim and our Publishing company Llewellyn for making this possible. 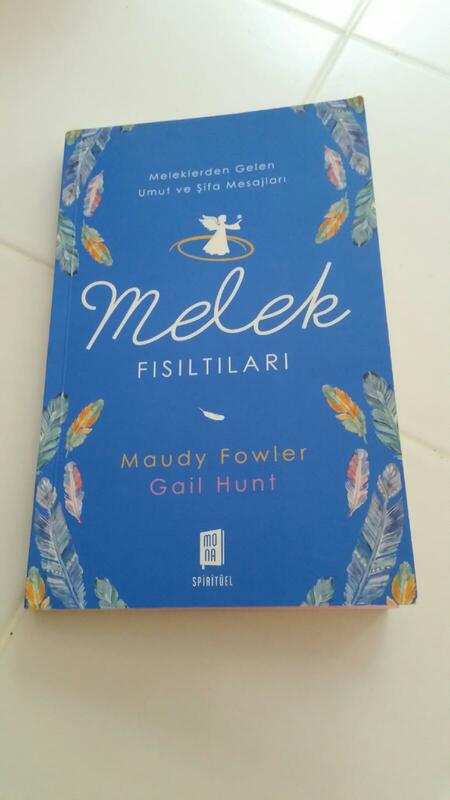 Gail and I welcome our Turkish readers to our world of Angel Whispers and we hope our book Melek will help you move forward. 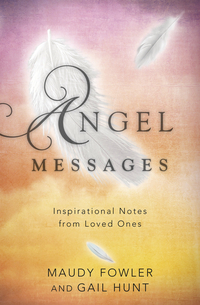 Our new book is Angel Messages Inspirational Notes from Loved Ones. Like our first book Angel Whispers, our new book Angel Messages came out in Canada, UK, New Zealand, Australia and other English speaking countries. In Angel Messages you can discover how to hear the angels as they provide guiding signs, and experience the peace and comfort of tapping into your own spiritual connection. This book brings the focus on love, light and laughter and you can feel the arms of the angels embrace you when you open up to the profound messages. Sharing beautiful stories and warmhearted messages, this book helps you feel the love that can only come from that special place that's beyond this world. We are so happy to reach many more people through Angel Whispers! Our thanks to Publishing company Hajefa in The Netherlands! Our current book is Angel Whispers Messages of Hope and Healing from Loved Ones. We were happy to hear that Angel Whispers was in reprint. It helped many people move on. This book also came out in Canada, UK, New Zealand, Australia and other English speaking countries. Angel Whispers shares Maudy's conversations with listening to Angels while also focusing on the seven elements by which to live: love, honor, respect, patience, courage, forgiveness and belief. By communicating the angels' messages, she calms people in crisis, reaffirms their faith in the hereafter, and encourages them to move forward. Inside this book, you'll discover meditations and advice for achieving your happiness in life and explore how angels stay close to those they love. Na Hemelse boodschappen biedt ook dit nieuwe boek van Maudy en Gail de lezer inzicht en uitzicht op het levenspad. Het reikt spirituele en inspirerende boodschappen aan die ons leven verrijken, ons geloof versterken en het vertrouwen in onszelf bevorderen. Het maakt de kracht en liefde vrij die we in ons dragen en die we kunnen doorgeven. Speciaal in deze tijd van economische crisis, waar menigeen met veel verliezen op allerlei gebied te maken heeft, zal dit boek je een goed houvast geven om het belangrijkste niet te verliezen...jezelf. Met waargebeurde en inspirerende verhalen geeft het een kijkje achter de schermen van de hemel. De influisteringen van engelen bieden een lichtpunt in de duisternis en maken je ...veerkrachtig. Veerkracht maakt je leven vederlicht! Heaven's light will be your guide to assist you upon your life's journey. In this time where many people deal with losses and hardship, the question people often ask themselves is, "Who am I and why am I here?" The information in this book will help you find the answer and your purpose in life. It will help you find yourself... that is... if you want to be found! When everything else had not worked - let this book be a tool to guide you. The inspirational true stories in this book will empower your faith and enrich your life, and will give you a little glimpse behind the scenes of Heaven. It will help you recognize how to understand the concept FEATHERWEIGHT to make your life Featherlight! Mystic Messenger is a true story about Maudy Fowler, who receives messages through Angels and their heavenly grapevine. Along, with her co-author, Gail Hunt Violette, they have created a self-help book that will empower your self-awareness and spirituality through the power of positive thinking. It is meant to assist you upon life’s journey. It is a tool that will assist you when everything else has not worked. Hemelse boodschappen is het ware verhaal over de paranormaal begaafde Maudy Fowler, die via overledenen boodschappen van engelen en gidsen ontvangt. 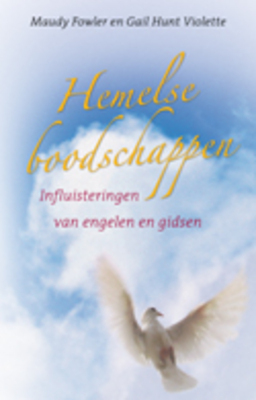 Samen met co-auteur Gail Hunt Violette heeft zij een zelfhulpboek geschreven dat met zijn positieve boodschap een sterke stimulans kan zijn voor je spirituele groei en bewustzijnsontwikkeling. In simpele voor iedereen toegankelijke bewoordingen vertaalt Maudy de diepe inzichten en levenswijsheiden die ze vanuit de hogere wereld krijgt ingefluisterd naar de alledaagse praktijk. Zo is een boek ontstaan gebaseerd op de kracht van positief denken, eenvoud en gezond verstand en over hoe je deze waarden in je leven gestalte kunt geven. Maudy is geregeld in Nederland waar ze met haar presentaties volle zalen trekt en iedereen verbluft met haar zeer persoonlijke en treffende spirituele boodschappen. Wanneer al het andere niet voor je werkt zal de informatie in dit boek als een gereedschap hulp bieden. This inspiring book will give you a little glimpse behind the scenes of Heaven here on earth. Maudy has the ability to go beyond the confines of religion and is able to get to the very core of spirituality and Faith in God. You will recognize God’s presence through the positive messages that are delivered. This is done through the Angels, with God’s approval. The ‘mail’ Maudy refers to are messages from people in spirit doing earthly work from Heaven for their loved ones left behind, with the message to help them move on doing Heavenly work here on earth. Maudy sees herself as a positive mystic messenger and presents people with choices to let you look at life with "new eyes". Maudy has written this book with her friend and co-author Gail Hunt Violette. Boodschappen van overleden mensen die met ons in contact willen komen en waarin Gods aanwezigheid kenbaar wordt. Maudy heeft de gave om ver buiten de grenzen van de godsdienst te gaan en bereikt de kern van spiritualiteit en het geloof in God: liefde. De verbinding wordt gelegd tussen het bovennatuurlijke en het voor menselijke begrippen natuurlijke. In dit inspirerende boek wordt Gods aanwezigheid kenbaar. Je krijgt als het ware een kijkje achter de schermen van de hemel. De informatie is kort, krachtig en liefdevol. Het geeft je aan welke keuzes je in je leven kunt maken en het geeft je inzichten waardoor je de wereld met andere ogen bekijkt. Zo is Maudy een stem voor Hem. Maudy heeft dit boek samen met haar vriendin en co-auteur Gail Hunt Violette geschreven. ‘Ik stem af op de frequentie van iemands stem. Via die golflengte komen boodschappen mijn gehoor binnen. Maudy Fowler was born in The Netherlands and settled in North Carolina with her family. Maudy is the author of the book, Mystic Messenger co-authored by Gail Hunt Violette, published in the States, Holland and Belgium. Together they also wrote the books A Voice for Him, Heavenly Messages and Feather Weight, published in Holland and Belgium as well. 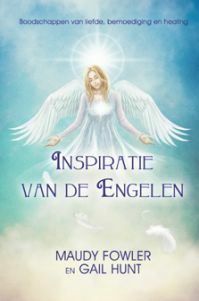 They are award winning authors of the Dutch book Heavenly Messages, with Deepak Chopra and Dr.Wayne Dyer along side nominee. Angel Whispers is the new book they have written and is available through our publisher Llewellyn.com and in the local bookstores. Angels are the links to the spirits of our ancestors in heaven. Positive messages are delivered to their loved ones left behind here on earth. She does have the gift of prophecy. She was first made aware of this gift at the age of 11. Her mother was also gifted and had the gift of healing and prophecy. Through word of mouth, people contact her from all over the world. Maudy won a literary contest award for Outstanding Achievement and Accomplishment for Women’s History Month in Oklahoma. She is an inspirational speaker and gives presentations in the States and Europe. Maudy was on Television shows in Holland on SBS-6 and RTV East and did an interview for Radio Great Falls, Montana, Radio Chicago and radio shows for WBT Charlotte, NC. Maudy and Gail had their live weekly internet radio Talk Show on LATalk. People sometimes ask, "Maudy, what did you do before all this happened?" Answer: I was a dental assistant, choreographer, managed dancingschools, make up and nail artist for a Dutch Television Network, and a chiropodist. Gail Hunt Violette was born in New England and moved to North Carolina with her family. She met Maudy on July 26, 2000. Gail is an artist and has sold original paintings, plus prints privately. She also designed and developed an Arts and Music Camp for children. Further, she has produced award-winning videos and is an avid photographer. Maudy chose Gail to accompany her on this journey because Gail is able to bridge spirituality with basic core beliefs in a Higher Being. Together, based upon their books they give presentations to teachers, law enforcement, people in the medical field psychologists, psychiatrists, caregivers and business personnel on all levels. Gail has worked in the realm of Religious Education for over 20 years, with the sole purpose of bringing people to self-realization through positive thinking, spirituality and the power of prayer. While working in this environment, she has given motivational presentations. Some of them are: A National Presentation to Media Specialists at UCLA; In-service sessions for Teachers, Diocese of Pittsburgh; and a National gathering of Educators in Minneapolis, Minnesota. Maudy and I met on July 26, 2000, at a local church, where I was working. She was registering her daughter for Religious Education on that evening. While registering her daughter, Maudy picked up a picture of my Mother, Rita Vaine Hunt, which was on my desk. Within 15 minutes, she told me things that only my Mom would know. Because of the nature of this message, I was in shock for about 48 hours, and did not share this with my family until day three! Our friendship grew and blossomed. After one year, I decided to bring Maudy to meet a Monsignor friend of mine. He met with her privately for about 30 minutes, came out of his office with tears in his eyes, and said to Maudy, "Continue to do God’s work!" In August of 2003, I resigned from my position at the Church, and Maudy’s position ended. We decided to start giving presentations in a local hotel on October 1, 2003. From that time forward we have given presentations, retreats, and have written books together. Further, I handle all of the business side of what we do together. Our mission, though different, has our combined personal effort and goal to bring people to God. The Love and Joy that I have been able to witness is truly a blessing from God!